I have noticed there have been a number of emergencies at senior housing facilities in the news recently across the country – from active shooter incidents to tragic fires. In September, a massive fire ripped through a senior housing complex in Washington, DC, causing the evacuation of all 190 residents. Four days later, a gentleman, aged 74, was found in his unit still alive. For the last several months, Fellowship Square has been working tirelessly with management to strengthen our emergency response and preparedness policies and implement a crisis communication plan. Having everyone understand their role - from the residents and their families to management, staff and the Board of Directors - in times of emergencies is critical to ensure that our information is accurate, and that issues are resolved as quickly as possible. Our goal is to get life back to normal for all those affected, and to make sure no one is left behind. Whether emergencies affect one resident, ten residents or all the residents, we need the help of volunteers, community partners and all of our supporters so that Fellowship Square owners and property managers can focus on the needs of the residents. October is Fire Safety Month and I know each Fellowship House is prepping residents as to what to do in case of fires and other emergencies. Please know that in times of crisis, it’s our supporters like you that we rely on to help us serve the needs of residents and help them get back on their feet. Thank you for all you do to help Fellowship Square and our residents – both in good times and if ever an emergency arises. It's Your Time to Give! Fellowship Square plays an extremely important role in the lives of our residents and future residents. Paying for daily needs like food, medication and transportation is almost impossible for residents who only have a few dollars in their pocket . And all too often, this lack of resources takes both a physical and an emotional toll on these older adults for whom there’s no one they can turn to for help. Because of generous donors like you, we are able to provide for emergency food crises, taxis, Uber/Lyft pick-ups, and volunteer drivers. We cover costs associated with dental work, eye glasses and hearing aids – none of which are fully covered by programs like Medicare or Medicaid. We give seniors a safe, comfortable environment where they can maintain their independence and yet have the security of knowing that help is available when needed. Please, take a moment right now to help us continue to provide valuable services to Fellowship House residents by making a tax-deductible donation of $50, $100, $250, $500 or more. 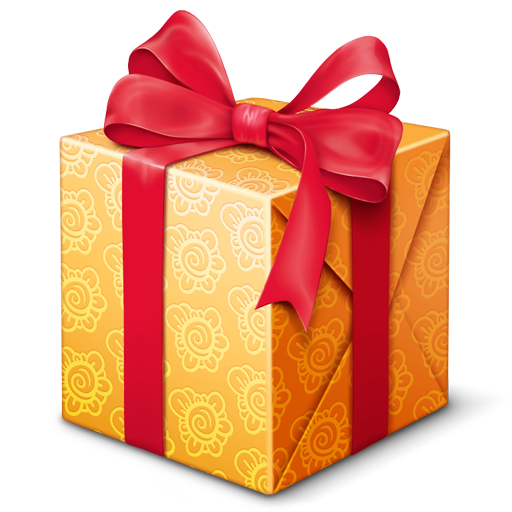 Your gift ensures that we will have the resources to answer their calls for help. More than a dozen residents of Lake Anne Fellowship House turned out in support of the Lake Anne redevelopment plan both at the Fairfax County Board of Supervisors and Planning Commission meetings this month. Both the board and commission voted unanimously to approve the plan. In partnership with Community Preservation and Development Corporation, our plan preserves all 240 units and ensures that current residents move only once. It would replace two structures that are nearly 50 years old with a state of the art building and ensure that the units remain affordable. As part of the approval process, the board and commission also blessed the construction of 34 market rate townhouses adjacent to the new building; that part of the project will help finance the construction of the new Lake Anne house. Let the building begin! Watch Fellowship Square’s Executive Director, Christy Zeitz, give an overview of the Foundation and its activities in an interview with the Greater Reston Chamber of Commerce! Our goal is for every one of our residents in need to receive something to help them through the cold, winter months and enjoy the festive holiday season! 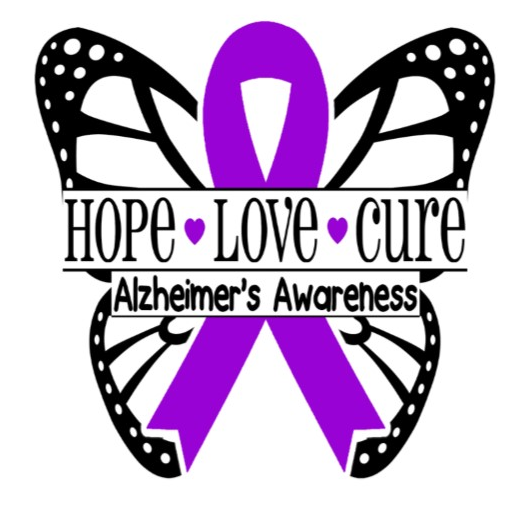 Come Join Ms. Jane Priest of the Alzheimer's Association for Tea at 2pm on Tuesday November 6th. Caring for oneself or for a person with Alzheimer's or dementia can be difficult. Come learn about signs, symptoms and resources available to you and your family. Hot tea and cookies will be served. Bring a neighbor and a friend. Learn about options, resources, and support. Keeping our residents healthy during cold & flu season! 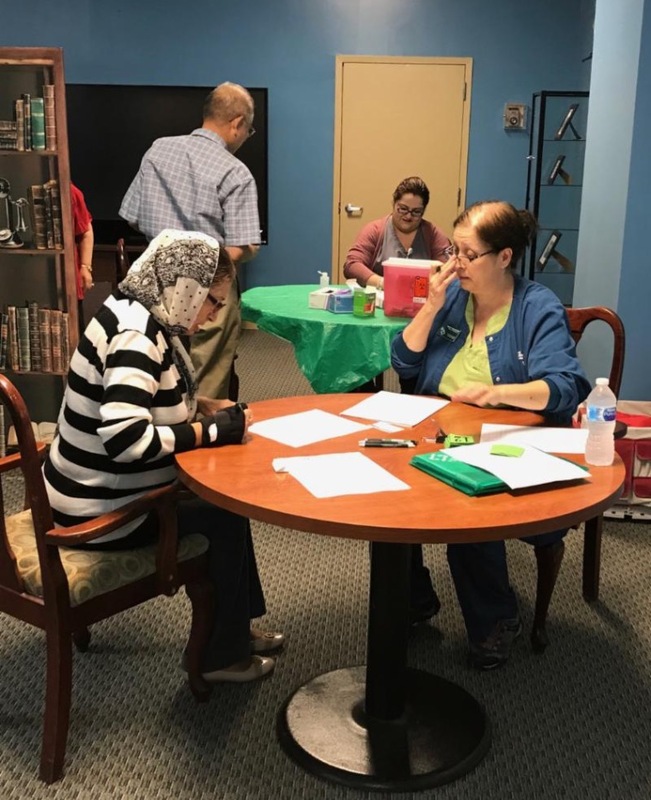 Fellowship Square would like to thank our partners, The Medical Team and Rite Aid , for providing flu vaccinations to our residents at our Lake Anne Fellowship House . Thanks to our partners, we can greatly reduce the number of flu-related illnesses this season within our community. Thank you, RITE AID and THE MEDICAL TEAM for keeping our residents healthy! Our residents give the gift of music! The Largo Landing Fellowship House Choir is on the move! 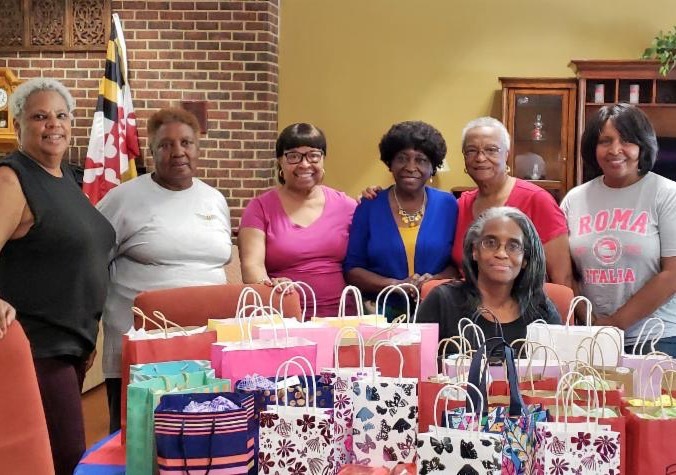 The group recently ventured out to share their musical talents at the nearby Manor Care facility, and provided some gifts to the residents during their visit. Participating in the arts is an important part of Fellowship Square’s emphasis on engaging our seniors in activities that enhance their quality of life. In a single year, the average state contribution to housing trust funds is $16.45 million. Virginia's annual allocation is $5 million, roughly 70 percent below average. Are Virginians 70 percent less deserving of affordable housing than other Americans? Now is the time to invest in housing! Sign the petition asking Governor Northam to include a $20 million annual allocation to the Housing Trust Fund in the biennial budget for FY2020-FY2021. Thank you for joining housing advocates across the Commonwealth in support of this effort! Eighty percent of all breast cancer occurs in women over 50, and 60% are found in women over 65. The health and wellness of seniors in our Fellowship Square communities is of vital importance and we encourage our residents to get screened regularly. 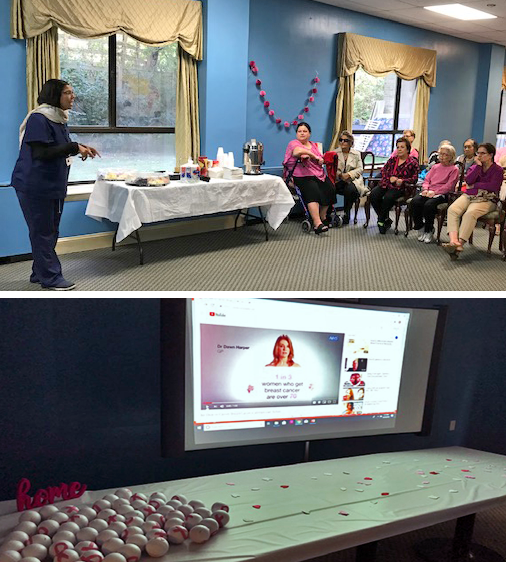 On Wednesday, October 24, Lake Anne Fellowship House celebrated Breast Cancer Awareness Day by Hosting Dr. Taylor, DMIN, MBA, RN, ICTTP from American Health Care Pro (AHCP) for an educational seminar on Breast Cancer. 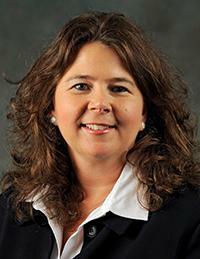 Dr. Taylor has been performing wellness checks on Lake Anne residents for the past five years. 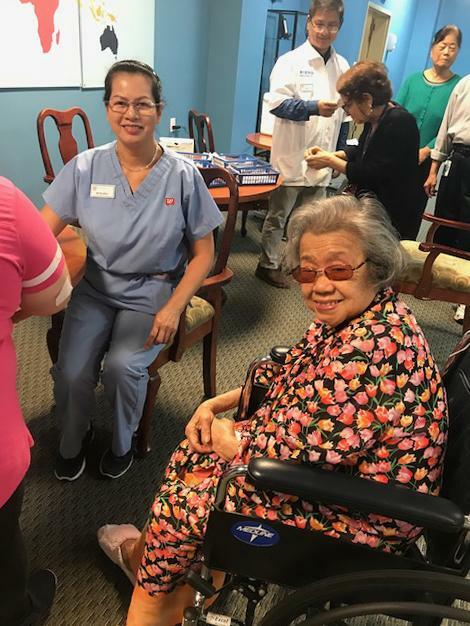 She runs her own home care agency as well, and assists residents with health related questions, checks vitals, helps obtain occupational and physical therapy and more. The Resident Services Coordinator provided stress relief balls with a pink ribbon label to represent Breast Cancer Awareness. Looking to grow your skills in the non-profit world? 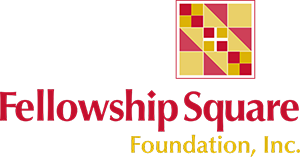 Fellowship Square is seeking interns in the areas of Communications, Marketing, Fundraising, Volunteer Management and Program Management. 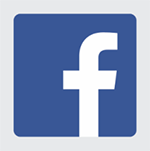 ﻿Stay in touch with Fellowship Square Houses on Facebook!